You wouldn’t be surprised at the number of people who search for cheap web hosting service for their websites. Especially the new business owners look for cheap web hosting plans, as they want to reduce as much expenses as possible, so to increase the profits. 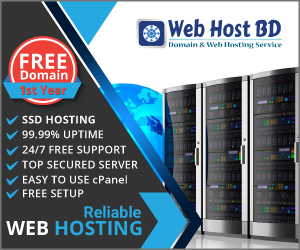 The good news here is that to find a cheap web hosting, is not at all difficult as the competition in this industry is rising hence, most companies are using the cost leadership to gain a competitive advantage. You would rarely find a company that is charging more than $10 per month for web hosting. Even more surprising is that you can find web hosting services for around $10 per year also if you know some secrets, which lie in outsourcing solutions. Is cheap hosting the best web hosting plan and is it recommended? Some people might argue that having good quality of server performance is more important than having cheap hosting but if truth be told, the competition in the industry and the demand of web hosting services are so high that companies do not need to cover the cheap prices with compromised quality. Hence, you can find good quality of server performance for low prices as well. not only is the server performance of high quality, but these companies also give you extra ordinary customer care and support and guides you through every process of making a website and then managing one. They not only host your website by giving you a server, but they also give you extra features to help create your website like quick shopping cart, other applications and widgets. For a small fee, you get large amount of features and applications free. Hence, if you are looking for some secret to get the cheapest web hosting plan that stands out in the market then the secret is to look for some outsourcing solutions. If you outsource the web hosting and purchase it from a foreign country like Pakistan or India, you get to save huge amounts of money. With an outsourcing solution, you get the best web hosting plan that does not compromise on anything at all. The server performance is excellent, the service is extra ordinary and the company provides you almost all the same features and applications that the companies in your own country do. their customer care is even better as they tend to care more about their foreign customers to build a reputation for themselves. The only determinant here is the way you research and the company you are hiring. Not all the outsourcing companies are reliable and the selection process should be done based on thorough research. It is better to read reviews and to search on review sites as nothing can tell you better other than the customers’ own experiences with the company. if possible, always get a web hosting subscription for a month instead of paying for a full year since that gives you a choice to switch companies. If the company does not offer monthly subscription, then make sure they have money back guarantee so you are not bound by the money you have paid.